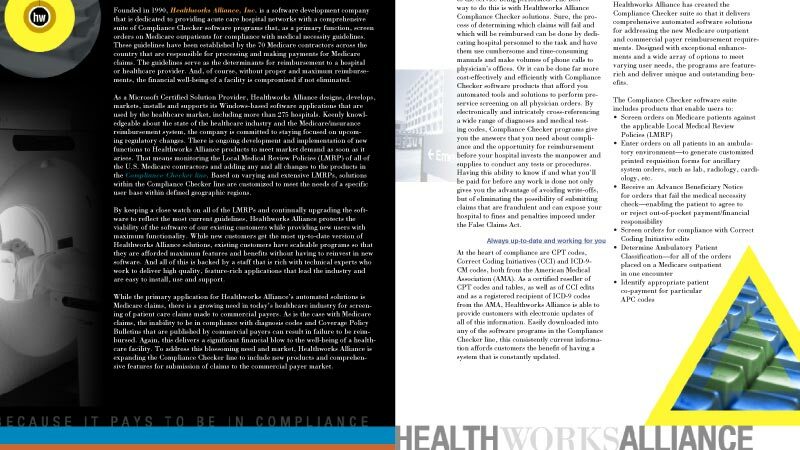 Healthworks Alliance, Inc. is a software development company that provides acute care hospital networks with a comprehensive suite of Compliance Checker software programs to screen orders on Medicare outpatients for compliance with medical necessity guidelines. Its Windows-based software applications are used by the healthcare market, including more than 275 hospitals. 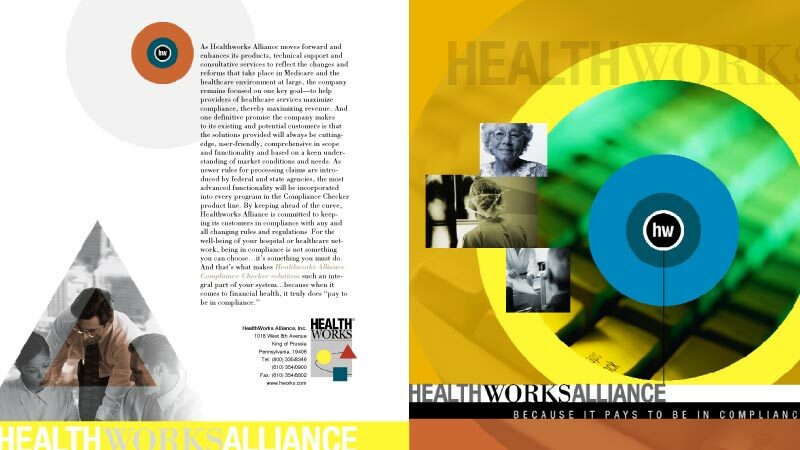 SHIRKWORX was given the assignment to create an 8-page brochure highlighting Healthworks Alliance’s key capabilities and corporate profile.